Those post cards advising producers of a $1.51 billion settlement in the Syngenta corn seed lawsuits are legitimate, and corn producers seeking compensation from the settlement must file claims by 11:59 p.m. on October 12, 2018. The settlement is the result of class action and individual lawsuits alleging that Syngenta failed to receive import approval from China before selling its genetically modified Viptera and Duracade seeds in the United States, which led to the rejection of U.S. corn shipments and a lowering of corn prices from 2013 to 2018. Ethanol production facilities that produced, purchased and sold dried distillers’ grains from any variety of corn. A claimant might not receive a payment for about a year. A court hearing to approve the settlement will take place in the U.S District Court in Kansas on November 15, 2018. If the court approves the settlement, those who object to the approval can file appeals. Final payments won’t occur until the court resolves all appeals, which could take about a year or more. Movement on Ohio “Watersheds in Distress” rules. As we have reported on several times this summer, Governor John Kasich signed an executive order on July 11, 2018 directing ODA to “consider whether it is appropriate to seek the consent of the Ohio Soil and Water Commission (OSWC) to designate” certain watersheds “as watersheds in distress due to increased nutrient levels resulting from phosphorous attached to soil sediment.” Since that time, ODA has submitted a proposed rule dealing with Watersheds in Distress. Amendments were made to the proposed rule after evaluating the first set of public comments, and ODA is now resubmitting the rules package. ODA reopened the proposed rule for public comments, but it closed the comment period on September 7, 2018. Information about the proposed rules, as well as how and where to comment, can be found here (click on the “Stakeholder Review” tab and then the “Soil and Water Conservation – Watersheds in Distress OAC 901:13-1” drop down option). A draft of the newly amended proposed rules is available here. WOTUS woes continue. The Obama administration’s hotly contested “Waters of the United States” Rule is back in the news, and this time, where it applies is dependent on where you live. A background on the rule can be found in our previous blog post. The rule basically expanded which bodies of water qualify as “waters of the United States,” which in turn protected more waters under the Clean Water Act. The rule became effective in 2015. Since that time, U.S. District Courts in North Dakota and Georgia have issued preliminary injunctions against Obama’s WOTUS Rule, which means it cannot be carried out in twenty-four states. Additionally, last summer, the EPA and Army Corps of Engineers, under the direction of President Trump, announced their plan to repeal Obama’s WOTUS Rule and replace it with the definition of WOTUS “that existed prior to 2015” until a new definition could be developed. Trump’s rule was published on February 6, 2018, giving the administration until 2020 to come up with a new definition. However, in a ruling on August 16, 2018, in a U.S. District Court in South Carolina, Judge David Norton determined that the Trump administration “failed to comply with” requirements of the Administrative Procedure Act when it enacted its rule. This means that the Trump rule repealing and replacing the definition of WOTUS is invalidated. As a result of Judge Norton’s decision, in the remaining twenty-six states without an injunction, the Obama administration’s version of the rule has been reinstated. Ohio is one of the twenty-six states where the Obama rule currently applies. Will the Trump administration and the EPA respond to Norton’s decision by announcing yet another new WOTUS rule? Follow the Ag Law Blog for any updates. In the meantime, the country remains nearly split in half by which version of the WOTUS rule is carried out. Regulators, meet “meat.” Under a new Missouri law, it is a criminal offense to misrepresent a product as “meat” if there is, in fact, no meat. Missouri’s revision of its meat advertising laws took effect on August 28th, and has been dubbed by many as the first attempt by a state to regulate what qualifies as meat. Defining meat as “any edible portion of livestock, poultry, or captive cervid carcass,” the law prohibits “misrepresenting a product as meat that is not derived from harvested production livestock or poultry.” Violations are treated as a misdemeanor, with a fine up to $1,000 and possible jail time. The Missouri Department of Agriculture has said that it intends to enforce the law, but that it plans to give affected companies until the start of next year to bring their labels into compliance. Supporters of the law, like the Missouri Cattlemen’s Association, argue that it will provide consumers with accurate information about their food, and also protect meat producers from unfair labeling of plant-based or lab-grown meat alternatives. Opponents have already filed a lawsuit to prevent enforcement, arguing that the law restricts free speech and improperly discriminates against out-of-state producers of meat alternatives. The named plaintiff on the lawsuit is Turtle Island Foods, an Oregon company that does business under the names Tofurky and The Good Foods Institute. The company makes plant-based food products, and is joined in its opposition by the American Civil Liberties Union of Missouri and the Animal Legal Defense Fund. Beyond Missouri, the National Cattlemen’s Beef Association has listed the issue as a top policy priority for this year, and the U.S. Cattlemen’s Association has petitioned the USDA to adopt stricter labeling requirements. As this issue develops, the Ag Law Blog will keep you updated. USDA taps Commodity Credit Corporation to aid farmers. Readers are no doubt aware of global trade disputes in which other countries have increased tariffs on American agricultural exports. Given the extensive news coverage, the Harvest will not attempt to cover the dispute in depth; however, one point that has been less covered is the tool that the USDA has selected to provide relief to impacted farmers: the Commodity Credit Corporation. What is it? The Commodity Credit Corporation (CCC) is a federal government entity created during the Great Depression in 1933 to “stabilize, support, and protect farm income and prices.” Since 1939, it has been under the control of the Secretary of Agriculture, although it is managed by a seven member Board of Directors. CCC is technically authorized to borrow up to $30 billion from the U.S. Treasury at any one time, but due to trade agreements, that number is, in reality, much smaller. This gives USDA access to billions of dollars in funding without having to go to Congress first. The money can be used to provide loans or payments to agricultural producers, purchase agricultural products to sell or donate, develop domestic and foreign markets, promote conservation, and more. CCC has no staff, but is instead administered through other USDA agencies, largely the Farm Service Agency and Agricultural Marketing Service. On August 27th, Secretary of Agriculture Sonny Perdue announced that USDA plans to tap the Commodity Credit Corporation for up to $12 billion worth of aid to farmers affected by recent tariffs. The Market Facilitation Program will provide direct payments to eligible corn, cotton, dairy, hog, sorghum, soybean, and wheat producers, and the Food Purchase and Distribution Program will purchase up to $1.2 billion in select commodities. For more about the Commodity Credit Corporation, check out its website. Bayer reports increasing number of lawsuits against newly acquired Monsanto. Bayer, the German pharmaceutical and life sciences company that acquired Monsanto early this summer, has indicated that there are an increasing number of lawsuits in the United States alleging that its weed killers cause cancer. According to the Wall Street Journal, there were roughly 8,700 plaintiffs seeking monetary damages from Bayer as of late August, a sharp increase from the 5,200 plaintiffs just months earlier. Many of these lawsuits involve cancer patients who claim that Monsanto’s glyphosate-containing herbicides like Roundup caused their cancer. As we reported in a previous edition of the Harvest, one person’s successful lawsuit against Monsanto resulted in a San Francisco jury award of $289.2 million for failing to warn consumers of the risks posed by its weed killers. Monsanto is expected to file motions for a new trial and for the judge to set aside the verdict, and may ultimately appeal the decision. These cancer-related claims come at a time when another Monsanto product, Dicamba, is causing great controversy. Stay tuned to the Ag Law Blog as these lawsuits continue to develop. After several years of debate over voluntary versus mandatory GMO labeling, Congress passed legislation yesterday to create a unified national standard requiring disclosure of information for bioengineered foods. Read this post on our new blog site, here. 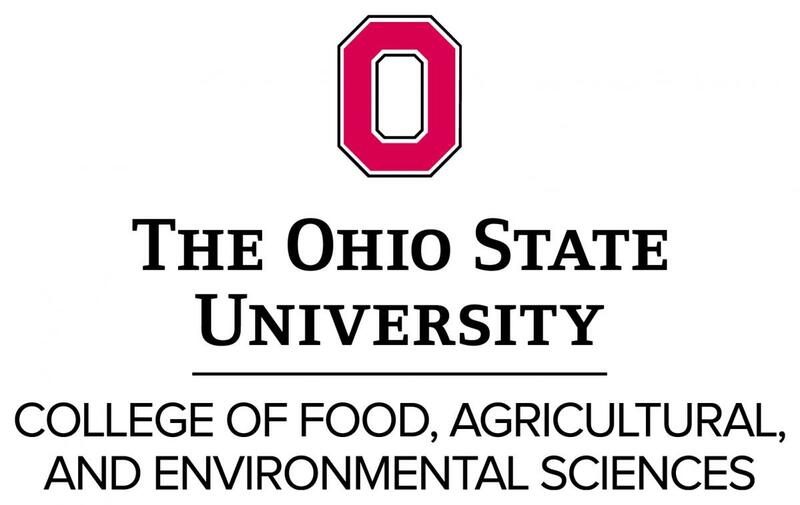 Ohio State University Extension’s Agricultural and Resource Law Program is excited to announce a new partnership with a group of universities creating a new Agricultural and Food Law Consortium. To read this post, go to our new blog site at aglaw.osu.edu/blog. Several farmers and organizations who grow, use, or sell conventional and organic seeds (“Seed Growers”) filed a federal lawsuit against Monsanto in March of 2011. Ohioans in the group include the Ohio Ecological Food and Farm Association. The Seed Growers asked the court to declare some of Monsanto’s patents “invalid, unenforceable, and not infringed.” The Seed Growers claimed they had to forgo planting certain crops and had to take “costly precautions” to avoid contamination by Monsanto’s genetically modified “Roundup Ready” seeds. Pointing to Monsanto’s history of aggressive patent infringement litigation, the Seed Growers feared they would be sued by Monsanto despite their efforts to prevent unintended contamination. The Seed Growers also alleged adverse health effects and long term environmental impacts from the genetically modified seed. The federal court dismissed the case after determining that no traceable injury existed that the court could address, since none of the Seed Growers had actually been sued by Monsanto. The Seed Growers appealed the decision to the Court of Appeals for the Federal Circuit. The court of appeals agreed that there was not a current traceable injury to the Seed Growers. But the appeals court also concluded that there was no risk of harm to the Seed Growers because Monsanto had “unequivocally disclaimed any intent to sue appellant growers, seed sellers, or organizations for inadvertently using or selling “trace amounts” of genetically modified seeds.” Even though Monsanto had denied the Seed Growers’ request to enter into a written covenant not to sue, the appeals court held that Monsanto’s promise to the Seed Growers throughout the lawsuit had the same effect as a written, signed agreement not to bring suit. How Can the Court Enforce Monsanto’s “Promises”? The party’s later position is clearly inconsistent with its prior position. The party successfully persuaded a court to accept its prior position. The party would derive an unfair advantage or impose an unfair detriment on the opposing party if the court didn’t step in to enforce the promise. According to the court, all three of these situations would exist if Monsanto later sued the parties for patent infringement, which requires the application of judicial estoppel to bind Monsanto to its promise. Monsanto’s promise was not to sue “inadvertent users or sellers of seeds that are inadvertently contaminated with up to one percent of seeds carrying Monsanto’s patented traits.” But what about growers who inadvertently use or sell seed containing greater than trace amounts; i.e. greater than one percent? Despite the appeals court’s effort to clarify whether or not Monsanto would assert its patent rights in those situations, Monsanto would not state its position on the issue. Monsanto did make it clear that their view of an inadvertent infringement is quite narrow, stating that an “inadvertent infringer” would not include “those growers whose crops become accidentally contaminated, and who do not treat their fields with Roundup, but who, knowing of the contamination, harvest and replant or sell the seeds.” Thus in situations where growers inadvertently use or sell seed containing greater than trace amounts of Monsanto’s seed, it is possible that Monsanto could bypass judicial estoppel and pursue a patent infringement case. So Was this Really a Victory for the Organic Seed Growers? While the Seed Growers did not obtain the declaratory judgments they sought against Monsanto, they did receive some protection from future litigation in the form of judicial estoppel. Because the appeals court concluded that the Seed Growers were not at risk of being sued by Monsanto, the court was able to avoid delving into the deeper issues of whether or not Monsanto’s patents are valid, whether avoiding contamination is a burden to conventional farmers and whether Monsanto’s seed poses health and environmental harms. The Seed Growers have expressed interest in requesting a review of the decision by the U.S. Supreme Court. Even if the case does not make its way to the Supreme Court, it surely isn’t the last lawsuit we’ll see that challenges genetically modified seed technology. View Organic Seed Growers et al v. Monsanto here. The U.S. Supreme Court today ruled that a farmer’s replanting of harvested Roundup Ready© soybeans violates Monsanto Company’s patent rights. The ruling leaves in place a former court award of $84,456 against farmer Vernon Bowman for planting and harvesting the soybeans, which he had purchased as commodity beans from a local grain elevator or saved from his prior harvests. Relying on the theory of “patent exhaustion,” Bowman argued that Monsanto’s patent rights exhausted after the first sale of the seed and did not apply to later uses or sales. This exception to patent protection allows a purchaser of a patented good to resell the “used” good without violating patent rights. The Court unanimously disagreed that patent exhaustion was applicable in Bowman’s case, explaining that the patent exhaustion theory applies to later uses of a good but not to the creation of new and additional goods from a patented good. While Bowman could sell harvested Roundup Ready beans or use them as feed, he could not plant those beans, produce new beans and sell the new beans without violating Monsanto’s patent rights. “That is how “to ‘make’ a new product,” said the Court, or to “reproduce Monsanto’s patented invention” without compensation to Monsanto. “A patentee retains an undiminished right to prohibit others from making the thing his patent protects,” said the Court. Bowman tried to distinguish the application of patent exhaustion to his case based on the “self-replicating” nature of seed, arguing that the seed, rather than Bowman, controlled the seed’s actual reproduction. Monsanto should not be allowed to interfere with natural reproduction, claimed Bowman. The Court again disagreed, rejecting what it referred to as Bowman’s “blame the bean” and “seeds are special” arguments and pointing out that Bowman played an active role in the seed reproduction process. But the Court carefully noted that its ruling does not automatically apply to every self-replicating product, as there could be situations where a self-replication might occur outside a purchaser’s control or be a necessary but incidental step in using the item for another purpose. Many expected the Court to rule in favor of Monsanto based solely on the argument that ruling otherwise would negate the incentive for innovation that Congress intended upon passing the federal Patent Act. The Court was mindful of this argument when clarifying the parameters of the patent exhaustion doctrine, referring several times to the importance of not depriving Monsanto of its monopoly and the rewards of innovation. What does the case mean for farmers? The Monsanto ruling is not a big surprise but it does send a strong message to farmers, some of whom have likely grumbled over seed patents and limitations on the age-old practice of saving seed. With the Supreme Court’s decision, it’s clear that the current legal system simply won’t tolerate replantings of patented seeds. Instead, the law will support continued efforts by patent holders to monitor what farmers do with patented seed. Replanting of patented seed, whether intentional or accidental, is more than ever a high risk activity. Read the Supreme Court’s decision in Bowman v. Monsanto Co. here.